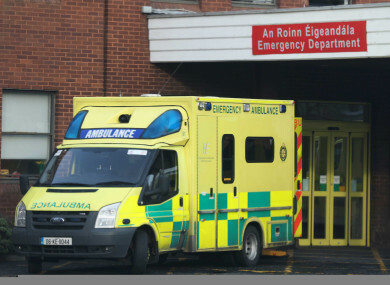 THE HSE HAS moved to reassure patients in the south about the status of University Hospital Kerry following fears that it could be downgraded. The Tralee hospital has previously been the focus of attention over missed diagnoses within the radiology department and a local politician has now questioned the standard of management within the hospital. This week, Sinn Féin councillor Toiréasa Ferris told Radio na Gaeltachta that she feared the hospital could be effectively downgraded due to what she says was a lack of investment. The councillor said that she spoke to one particular patient recently who presented for a fluoroscopy appointment only to be told that it could not go ahead due to problem with the equipment and that it would take nine months for a rescheduled appointment. A fluoroscopy is a type of medical imaging scan similar to an x-ray. Speaking to TheJournal.ie, Ferris says she is concerned that University Hospital Kerry could go the way of Nenagh Hospital and be “downgraded by stealth”. Now, one thing I will not engage in, and I try not to, is scaremongering, for the sake of getting a headline so I want to be clear, I don’t think and I hope that the hospital is not going to be downgraded, but unless the HSE is investing the resources that are needed that is why I fear it will be downgraded. But denying that there is any potential for this to happen, the HSE’s regional group which runs the hospital said in a statement that “there is no question” of downgrading it. Group support can clearly be seen from the number of developments carried out and supported by the hospital group over the past two years. These developments include a stroke unit, a discharge lounge, a new medical records department, a palliative care unit and theatre upgrades. There are also plans for a new blood science laboratory, a new medical oncology unit and a new obstetric operating theatre at UHK. The group says that staffing at the hospital has also increased by almost 22% between 2014 and mid-2018 and that 10 new consultant posts are currently being advertised at the hospital. But in response to the concerns about the missed fluoroscopy appointments, the HSE acknowledged that there is currently no suitable equipment at the hospital. “The fluoroscopy machine at University Hospital Kerry has been decommissioned due to the unavailability of replacement parts,” the hospital group stated. Email “HSE says 'there is no question' of downgrading University Hospital Kerry despite local concerns”. Feedback on “HSE says 'there is no question' of downgrading University Hospital Kerry despite local concerns”.